When operating a vehicle on the road, it is understood that each driver must conduct themselves in a reasonably safe manner so as to not cause problems for the other drivers on the road. This includes adhering to the rules of the road, and not taking unnecessary risks. However, car and truck accidents do happen, and, although some accidents are unavoidable and fault cannot truly be assigned to any one driver, there are also some accidents in which a party is at fault. Unfortunately, given the sheer difference in size, some of the more horrific accidents occur between a passenger vehicle and a truck. In such cases, if fault can be assigned, it is important to hire an attorney experienced in truck accidents. Recently, an Ormond Beach police officer suffered serious injuries, while responding to reports of a gunman, when his motorcycle collided with a truck which was making a U-turn. A general discussion of negligent driving, as well as a summary of some of the more common causes of vehicular accidents, including why accidents involving trucks result in greater injury, will follow below. To succeed in a personal injury lawsuit for negligent conduct, in car or truck accidents, generally, the injured party must prove the defendant was at fault for the accident. As alluded above, all drivers have a duty to operate their vehicles in a safe manner. The fault that must be proven to succeed occurs when a driver breaches this duty and an injury is caused as a result of this breach. While mechanical issues are not always the fault of the driver, there are some cases, such as driving with a burnt-out taillight, that can be attributed to driver fault. In any event, the first three listed causes most definitely place the fault of the accident with the driver. And, when the driver happens to be driving a truck, the resulting accident can be catastrophic. In addition to the sheer size of the truck, a contributing factor is the fact that the stopping distance of a truck is much longer than that of a passenger vehicle. Consequently, if a truck driver is operating his/her vehicle while doing any of the causes listed above, he/she just may not physically be able to stop his/her vehicle. 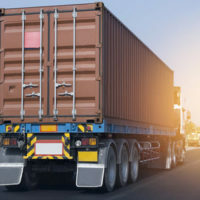 An attorney experienced in vehicle accidents involving trucks will be able to sort through all the evidence to focus on that which proves the truck driver’s fault. Vehicular accidents can result in traumatic injuries, and accidents involving a passenger vehicle and a truck can be especially horrific and catastrophic. If you or someone you love has suffered an injury in an accident involving a truck, it is crucial to engage the services of an attorney experienced in these types of accidents. The lawyers at Pita Weber Del Prado are here to help you. We have the experience to determine whether you or your loved one’s injuries is the result of negligence on the part of the truck driver. Contact our Miami office today for an initial consultation.